The kids are back at school, pumpkin spice everything is at the store, and soon the weather will be turning from crisp to downright cold. In short, it’s the perfect time to curl up on your couch and enjoy some great entertainment—especially since Showtime is on sale. As in, REALLY on sale. That’s less than the price of a single movie ticket, rental, or other monthly streaming service. Better yet, you can just grab your remote and tune in to award-winning shows, movies, sports, documentaries, and comedy specials. Need we say more? This new cult classic from the ‘90s is BACK. Picking up 25 years after the last series ended, this David Lynch tour de force (the premiere got a five minute standing ovation at Cannes, by the way) will certainly take you on a wild ride. 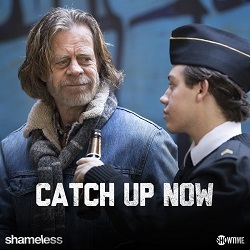 You can binge all 18 of the new episodes at your leisure! And, don’t miss two other Showtime Original series: First, there’s “Episodes,” a comedy series starring Matt LeBlanc (of Friends, fame) as Matt LeBlanc (you can watch the first episode here). Then, also watch “Dice,” a semi-autobiographical series that follows Andrew Dice Clay. “Inside the NFL” is an Emmy Award-winning series that brings you exclusive commentary and special on and off the field features you can’t find anywhere else. “A Season with Navy Football“—need we say more? 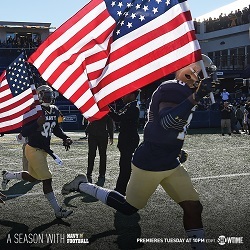 Follow the 2017 Naval Academy football team with weekly installments of the all-access documentary series. And, don’t forget that you can catch the Lara vs. Gausha fight on October 14 if you sign up now! The thing about Showtime is that the movies are always changing and always fresh. Right now you can watch “The Edge of Seventeen” (rated 95% on Rotten Tomatoes and Certified Fresh) or “Bad Moms” (a sequel is already in the works! ), or classics like “Gangs of New York” and “Jaws.” Want horror? Check out “The Babadook.” Want something you can watch with the whole family? How about “Rescue Dogs,” or even oldies but goodies like “The Parent Trap” (when Lindsay Lohan was little!). There really IS something for everyone (including documentaries and comedy specials which we haven’t even talked about). All of this available on your TV, or streamed on your favorite mobile device, for a price that can’t be beat—no separate bill, streaming box, or hassle required. The sale ends on October 21, so give us a call at 1-866-44-TDSTV today to get watching! Showtime for $6.95/mo. for 1 year: $6.95/mo. Showtime offer ends (Date). Offer valid for new Showtime subscriptions only. Promotional price valid for 12 months. After promotional period, current rates apply. HD channels require a subscription to the appropriate premium channel package. Local and state sales tax and other fees, charges, and restrictions may apply. 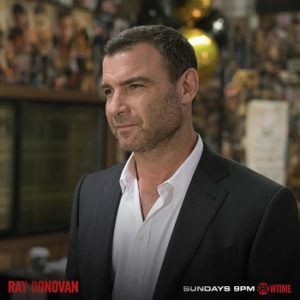 SHOWTIME and related marks are trademarks of Showtime Networks Inc., a CBS company. Showtime Anytime is provided through TDS’ TV Everywhere service.TV Everywhere requires TDS online account credentials and Internet access. Customer receives TVE access to channels in their video subscription. Type and amount of content available for each network is determined by network, and subject to change. Use of parental controls can restrict or filter programming available. On Demand is not available in all markets. 2 Responses to Showtime is on sale! I don’t feel it is fair that current Showtime customers are Not awarded the same SALE Price that New customers are allotted! I shouldn’t have to pay the extra premium just because I already subscribe to Showtime! All Current customers should only have to pay the $6.95 for the 12 month time frame also!!!!!!!!!!! Candace, we don’t set the pricing for Showtime. As a subscriber of a different premium channel, I feel your pain!